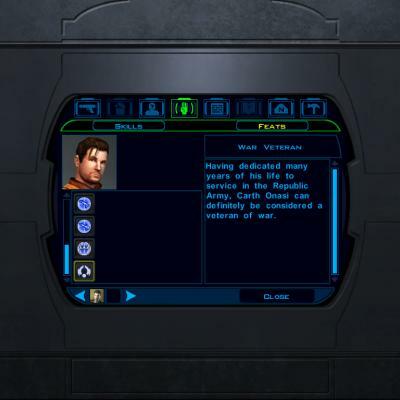 DESCRIPTION: Something I always found strange in KotOR was that despite being a Republic soldier, Carth never got to wear the Republic Uniform that you see the other soldiers wearing throughout the game. This mod changes that. 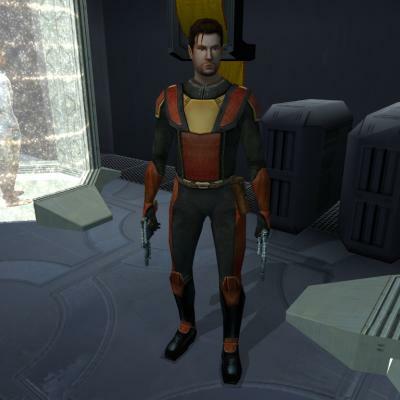 Now, Carth has his own personal set of Republic armour, exclusively for him to use. 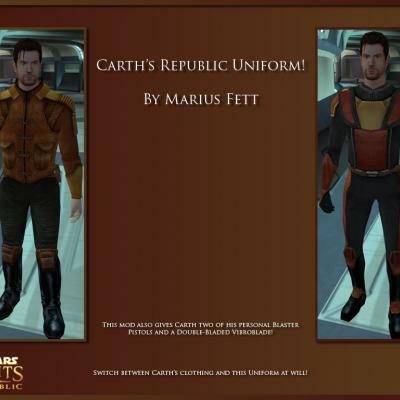 I also included a slightly improved version of his own personal clothing as well, which I called 'Carth's Flight Suit'. To prevent having to replace an armour slot, I created a new line in appearance.2da for Carth in Republic Uniform, then made a disguise item which uses that line. I then restricted both clothing items to Carth using a new feat which I also made. 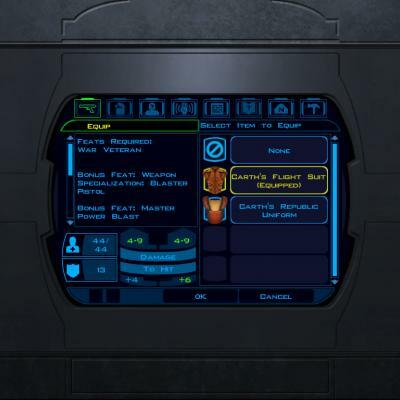 Carth will have his Flight Suit equiped and his Republic Uniform in his inventory when he joins you on Taris, and he will be wearing the Republic Armour when you meet him on the Endar Spire at the start of the game. 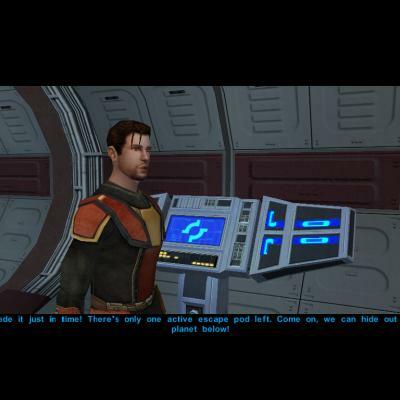 It made sense to me that Carth would wear his Flight Jacket instead of his Uniform wilst on Taris, because he'd hardly want to go giving away the fact that he was a Republic Soldier, does he? This mod is again based off of one originally made by Shem, except that with my version, no armour slot has to be replaced. Like Shem's original mod, I have also made it so that when Carth joins you, he has two of his personal blasters instead of one of them and a regular blaster. INSTALLATION INSTRUCTIONS: All you need to do is run the installer included in the download. The TSL Patcher utility will handle everything. 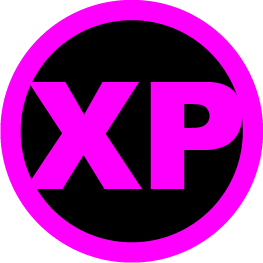 PERMISSIONS: This mod may not be used without the explicit permission of the author. This mod may not be distributed on other sites without the express permission of the author.